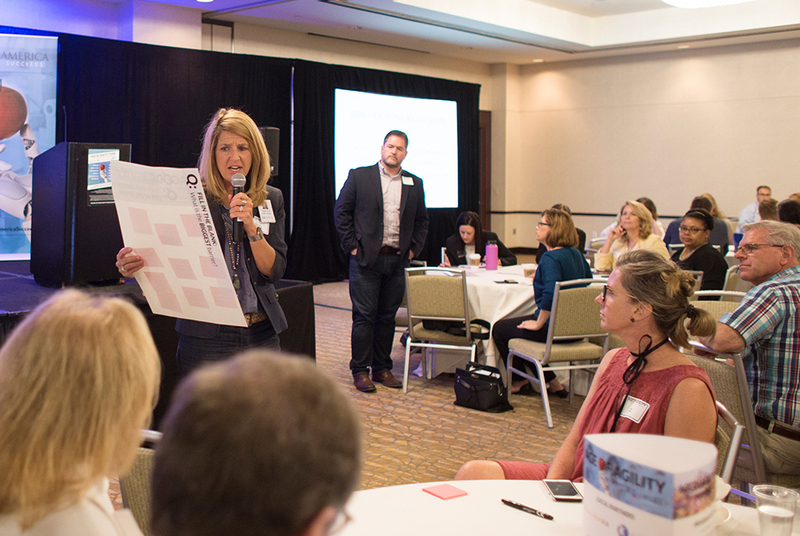 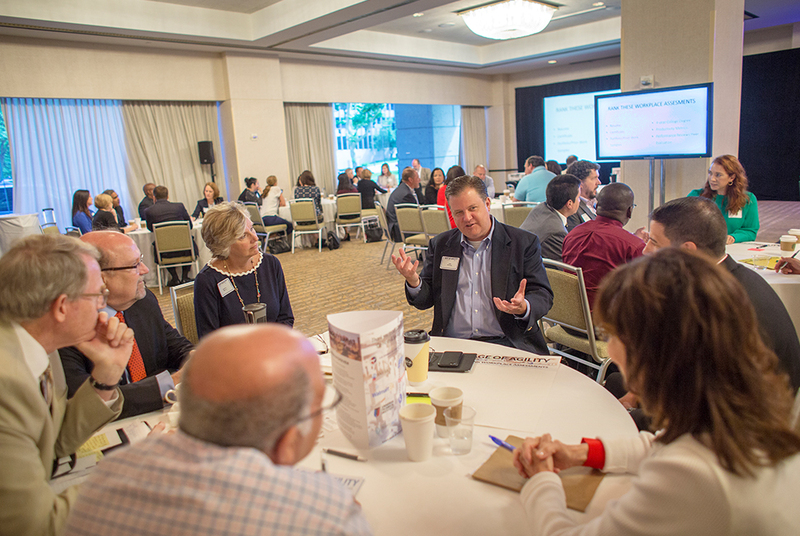 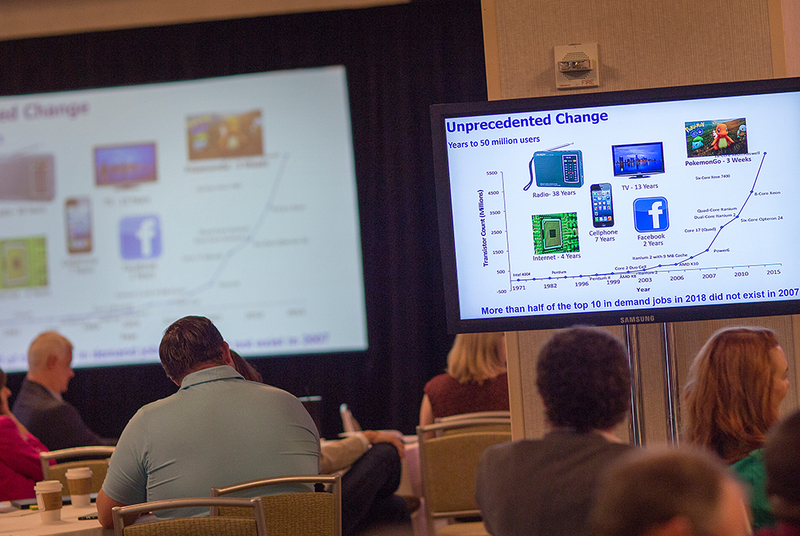 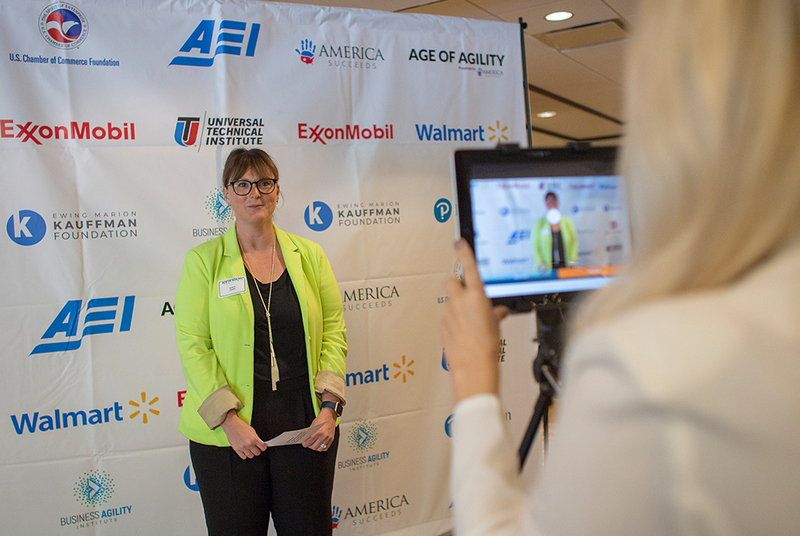 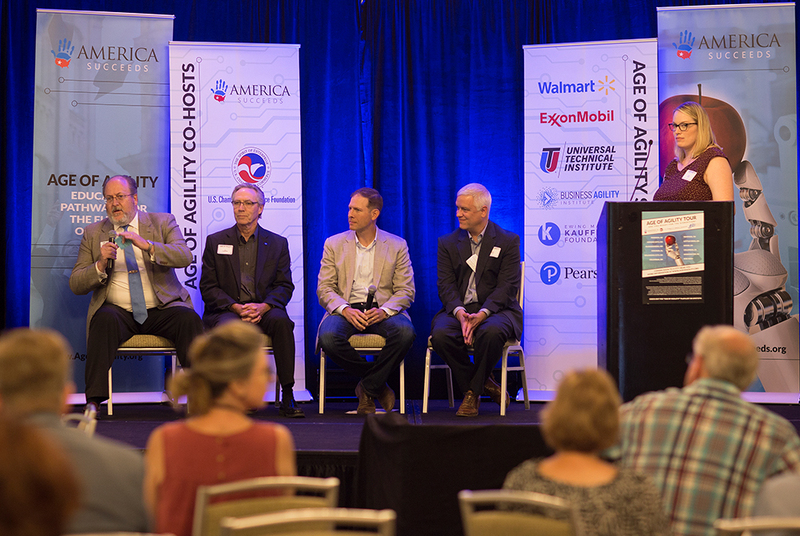 In partnership with Aligned and the Ewing Marion Kauffman Foundation, we hosted the Age of Agility Summit Kansas City on June 14th. 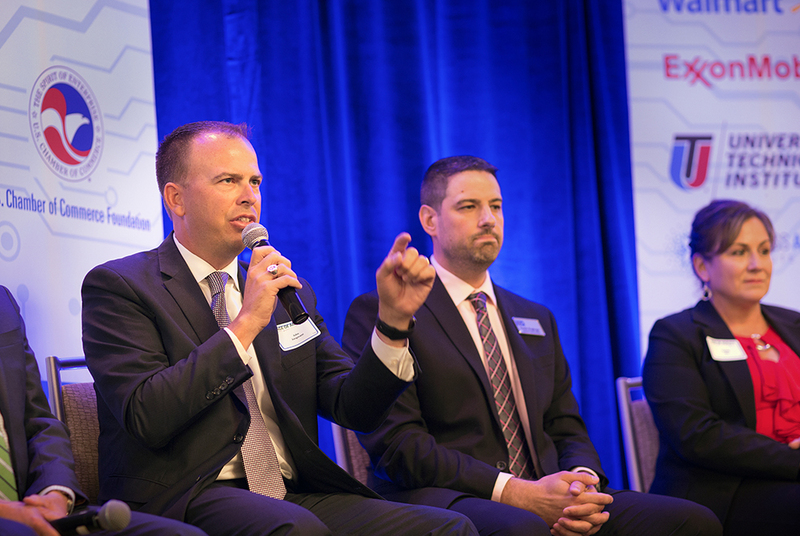 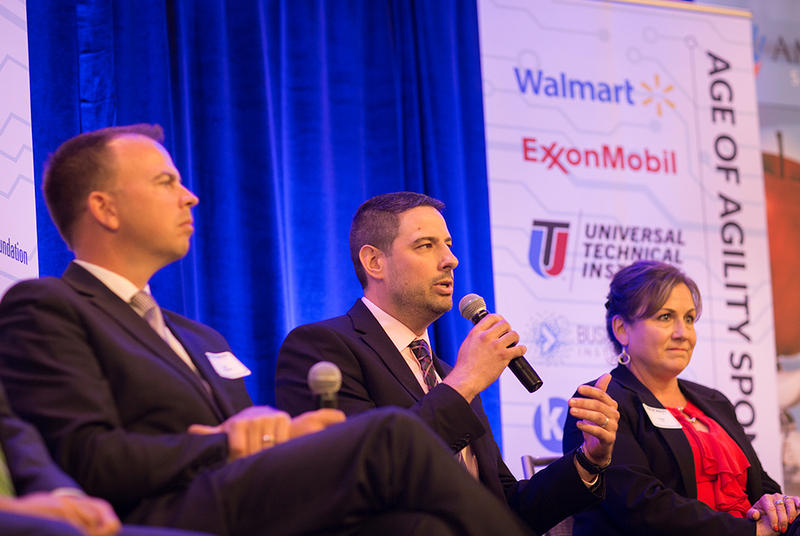 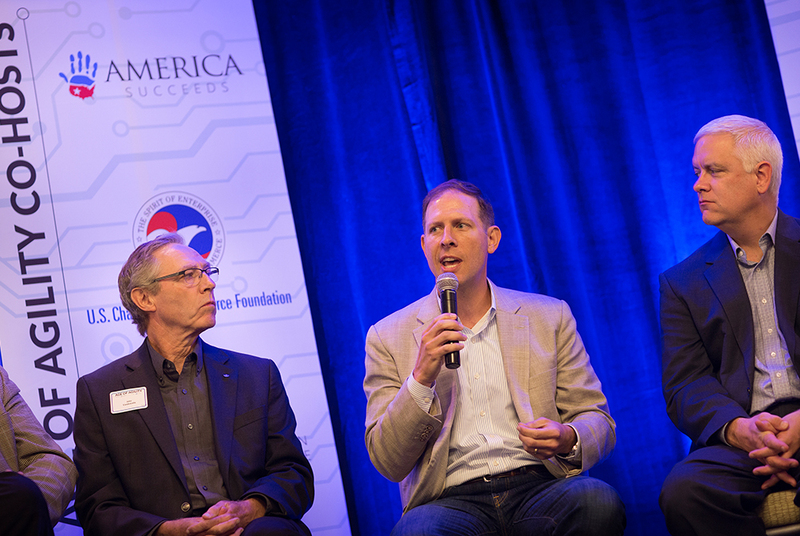 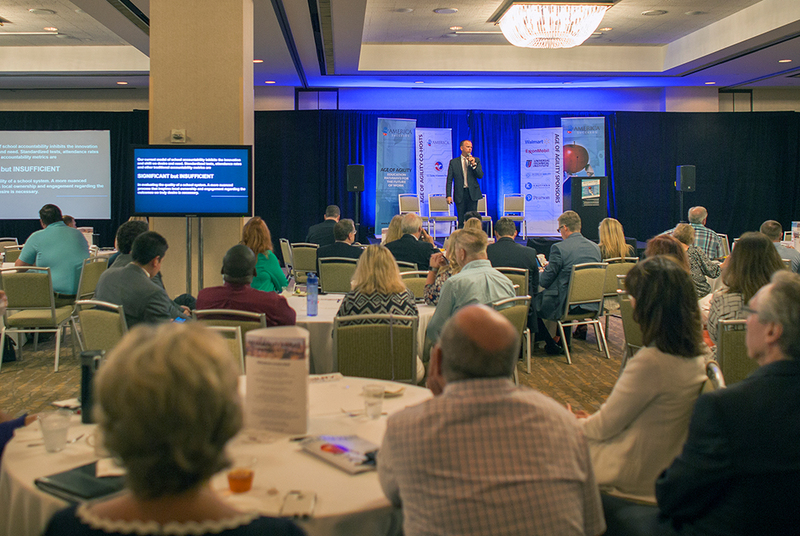 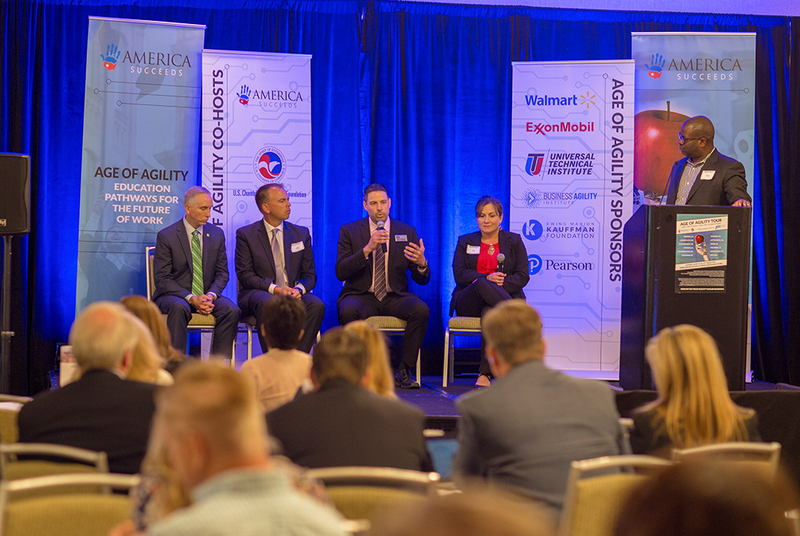 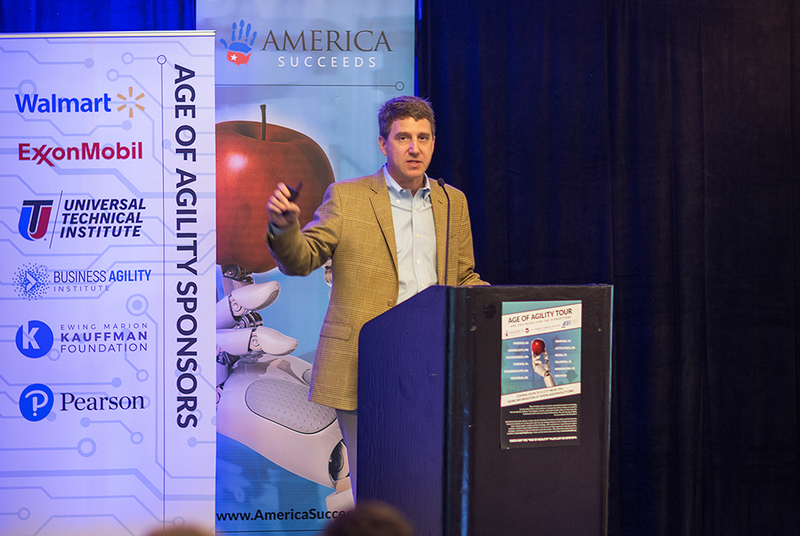 The event brought together business, education and policy leaders from across both Kansas and Missouri; it was one of the largest gatherings of the Age of Agility national tour. 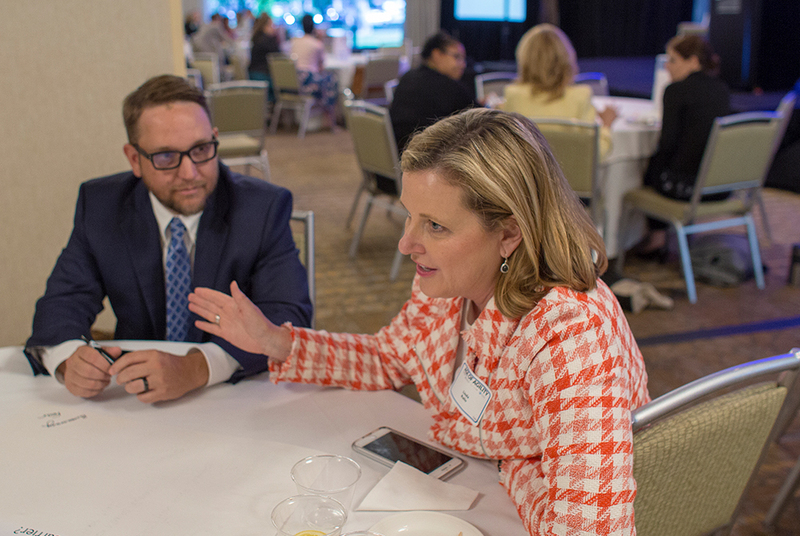 Aligned is a non-profit, non-partisan coalition of business leaders committed to improving education in Kansas and Missouri. 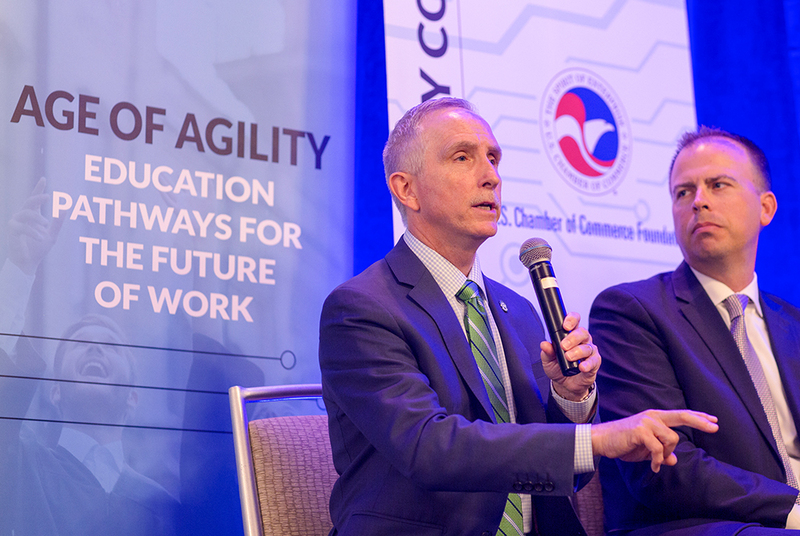 The organization was founded on the premise that the business community has the obligation, opportunity, and capacity to increase the college and workforce readiness of all students through an ambitious, aggressive and comprehensive reform agenda. 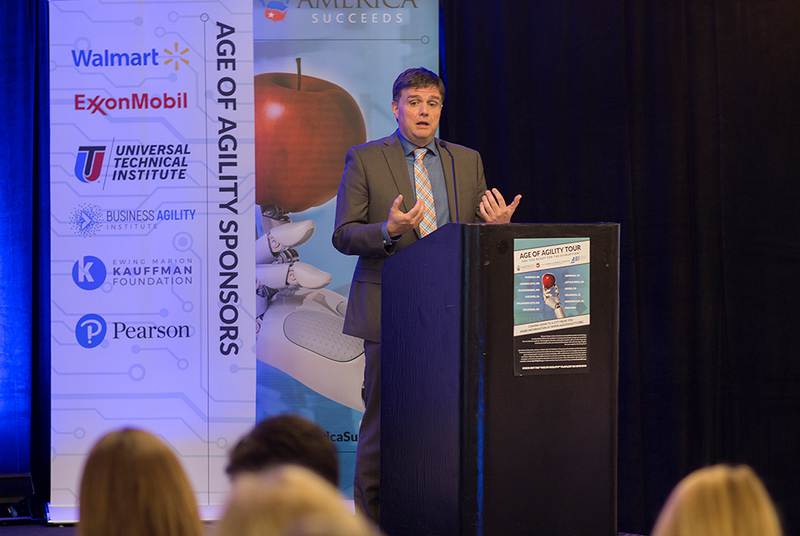 The Age of Agility Summit Kansas City was also supported by the Office of Governor Jeff Colyer. 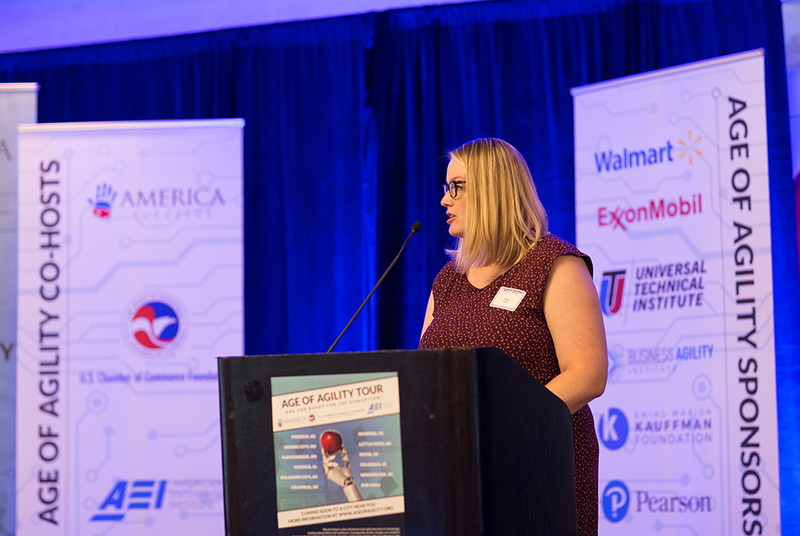 Diane DeBacker, Executive Director of Business and Education Innovation for the Kansas Department of Commerce, gave a special address on the Governor’s behalf. 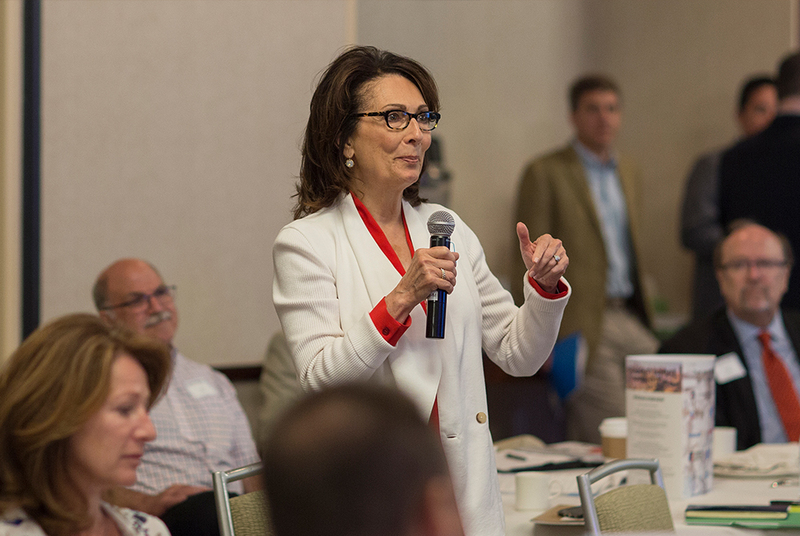 Diane DeBacker helped to drive home the urgency of addressing the misalignment of education-to-employment pathways by focusing her comments on the critical ways technology is shaping the economy of Kansas today. 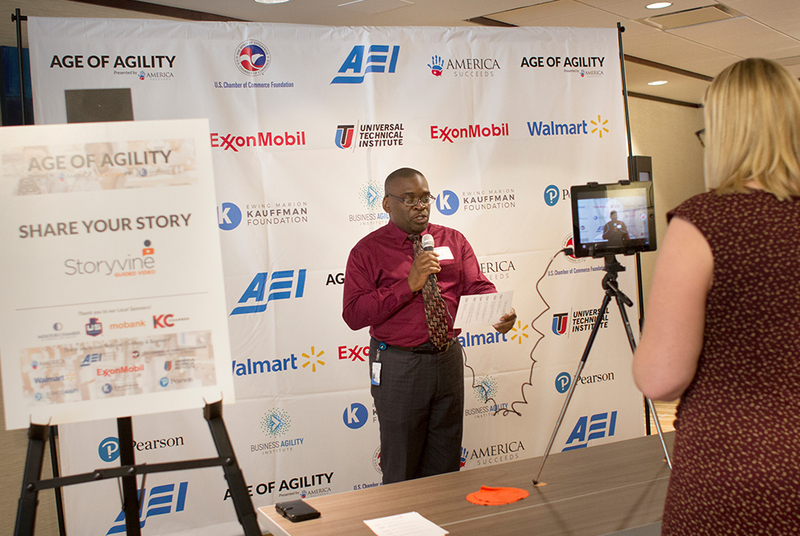 Following the special address, Aaron North of the Ewing Marion Kauffman Foundation spoke to the crowd. 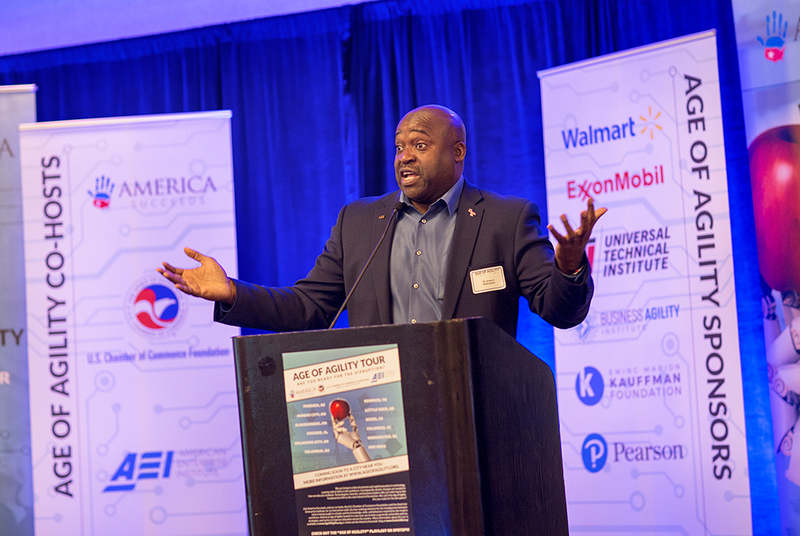 Building upon the momentum of the Kauffman Foundation’s RethinkEd Conference in April, North challenged the audience to re-imagine the high school experience so that graduates are better prepared for the jobs of today and agile enough for the jobs of the future. 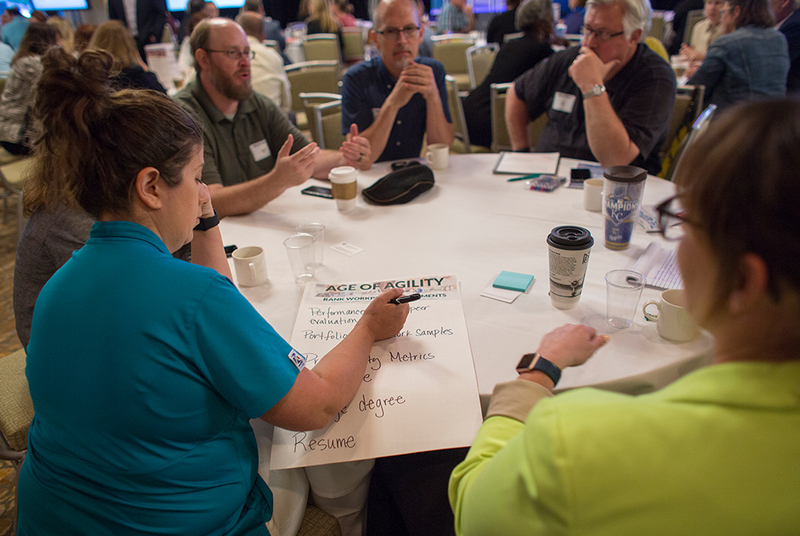 The willingness of stakeholders to speak candidly about the problems of today’s education system and their ability to think creatively about potential solutions helped to elevate conversations about the Age of Agility happening across both states. 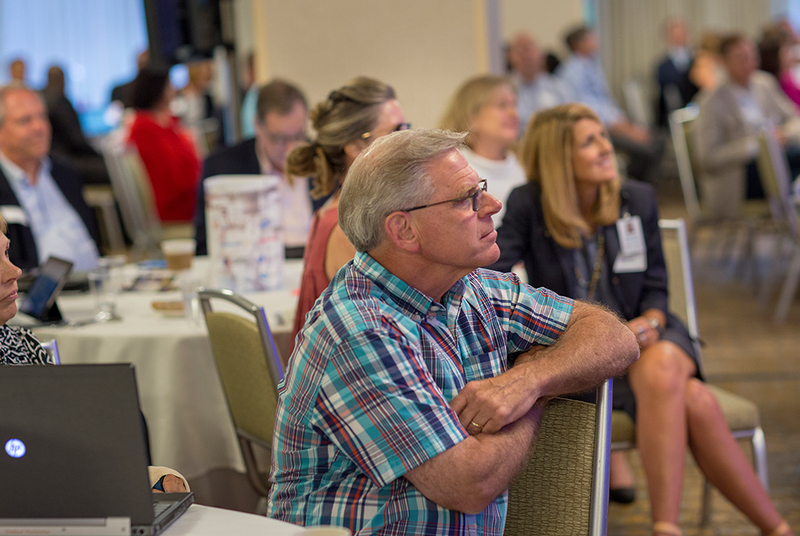 Photos provided by Don Delphia Photography.